made solely by the homeowner. TAMKO® does not recommend or endorse any particular contractor or TAMKO Pro. You should evaluate several contractors and select the one you believe best fits your specific needs. You should choose a contractor who is properly licensed, financially sound, properly bonded and insured and who has a good reputation in your community. TAMKO does not guarantee the workmanship of any contractor or TAMKO Pro. TAMKO's Limited Warranty and the Mastercraft Limited Warranty Enhancement exclude coverage for shingles that are not installed strictly according to TAMKO's installation instructions. Any dispute between you and your contractor does not involve TAMKO. YOU AGREE TO RELEASE TAMKO BUILDING PRODUCTS, INC., ITS SUBSIDIARIES, AGENTS, EMPLOYEES, AFFILIATES AND REPRESENTATIVES FROM ANY AND ALL CLAIMS, DAMAGES, DEMANDS, LOSSES, CAUSES OF ACTION AND ACTIONS (INCLUDING CONSEQUENTIAL AND INCIDENTAL DAMAGES), WHETHER KNOWN OR UNKNOWN, AND WHETHER ACCRUED OR ACCRUING, WHICH YOU MAY HEREAFTER HAVE ON ACCOUNT OF OR RELATED TO YOUR SELECTION OF A CONTRACTOR AND/OR ANY DISPUTE YOU MAY HAVE WITH YOUR CONTRACTOR. TAMKO Pros must periodically meet certain qualifications to become or remain a TAMKO Pro; however, TAMKO does not make any representations or warranties regarding the reputation, skill level, qualifications or expertise of TAMKO Pros. TAMKO Pros are not employees of, agents of, or affiliated with, TAMKO in any manner. YOU UNDERSTAND AND AGREE THAT TAMKO DISCLAIMS ALL REPRESENTATIONS OR WARRANTIES, INCLUDING ANY WARRANTY OF MERCHANTABILITY OR FITNESS FOR A PARTICULAR USE OR PURPOSE OR ANY OTHER WARRANTY OF ANY KIND WHATSOEVER, EXPRESS OR IMPLIED ARISING OUT OF OR RELATED TO TAMKO's SELECTION PROCESS FOR THE TAMKO PRO PROGRAM. Understand the importance that additional accessories have in crafting a roof. 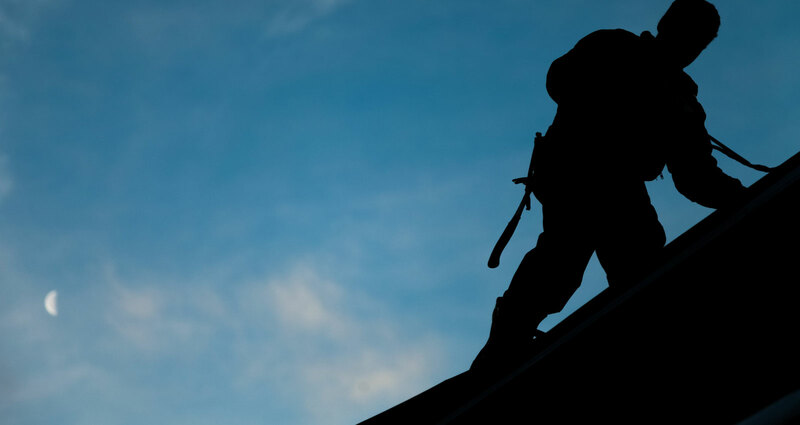 Your roofer will help you select everything you need for your new roof, from underlayments to shingles. Along with managing the roofing installation process from start to finish, your roofer should answer all of your questions along the way. When you work with a TAMKO Pro, you'll also be eligible to receive the Mastercraft Limited Warranty Enhancement at no additional charge for qualified shingles. *Limited Lifetime Warranty only applies to single family structures. See TAMKO’s Limited Lifetime Warranty for complete details. ** Full Start Period refers to the critical period of time in which both labor and shingles are covered at 100 percent. Labor in TAMKO’s Mastercraft Limited Warranty Enhancement includes the reasonable cost of tear-off, removal and disposal within the Full Start Period. Labor in TAMKO’s Standard Limited Warranty does not include the cost of tear-off, removal or disposal. See TAMKO's Mastercraft Limited Warranty Enhancement and Limited Warranty for complete details. Important: SHINGLES BEGIN TO AGE AS SOON AS THEY ARE EXPOSED TO NATURE. BUILDINGS EXPERIENCE AGING FACTORS DIFFERENTLY, SO IT IS DIFFICULT TO PREDICT HOW LONG SHINGLES WILL LAST. THAT'S WHY TAMKO PROVIDES A LIMITED WARRANTY FOR MANY PRODUCTS, THAT INCLUDES A BINDING ARBITRATION CLAUSE AND OTHER TERMS AND CONDITIONS WHICH ARE INCORPORATED HEREIN BY REFERENCE. YOU MAY OBTAIN A COPY OF THE LIMITED WARRANTY AT TAMKO.COM OR BY CALLING 1-800-641-4691.